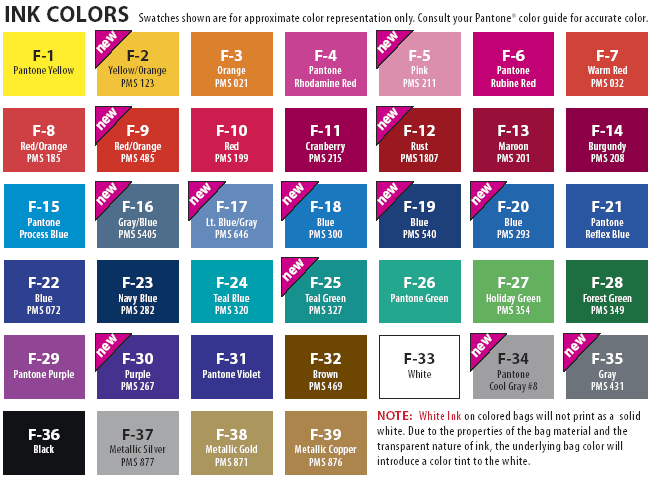 Please note: The Ink and Silk Screen colors shown below are our standard colors. 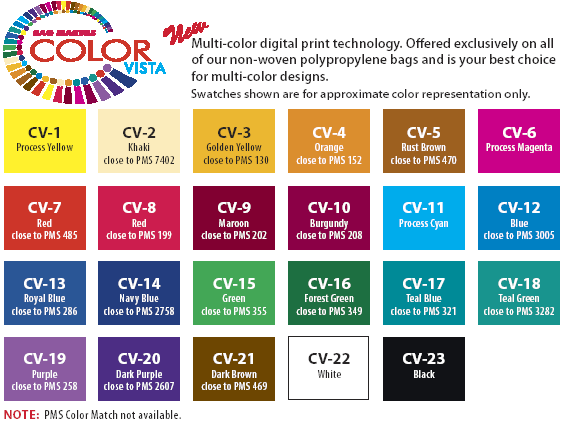 If you choose to have an imprint color not shown, a color mixing charge of $70.00 per color will apply. 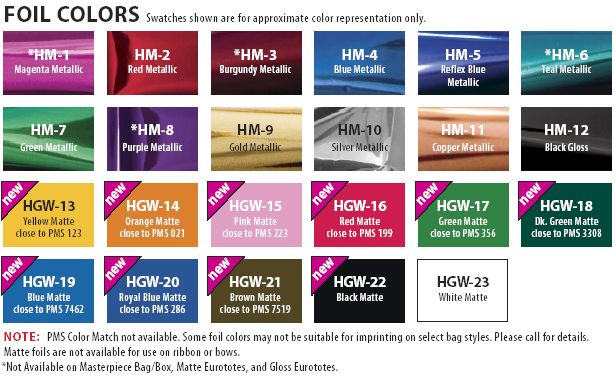 While we strive to come close to your chosen colors, exact color matches are not guaranteed.